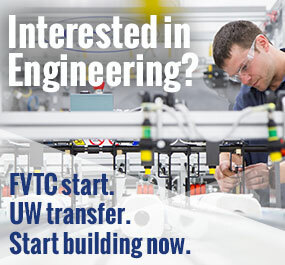 There are many career opportunities in this area of engineering both in the industrial and service settings. You can study to become an environmental health and safety technician, safety coordinator, project engineer or energy auditor. Gain a foundation in the environmental laws and regulations found in industry. You’ll learn about safety procedures associated with the day-to-day handling of hazardous materials and waste streams, along with emergency response procedures. Your training will include coursework in auditing and inspection programs, air and water emissions, and hazardous and solid waste stream management. You’ll have the skills and training for this specialized career path. Environmental health and occupational safety have an important impact on business and industry. In this program, you will learn about regulatory standards and the inspection process. You’ll also learn about the prevention of risk factors in the workplace, as well as accident investigation and reporting. As part of your training, you will complete a series of simulated reports and policies to prepare you for entry-level work in this interesting field. Prevention of occupational injuries has become a significant focus in all industries. This program will help you understand the OSHA requirements for manufacturing (general industry) and construction industries. You’ll become a valuable asset with the skills to help a business protect employees, save money on the bottom line through reduced workers’ compensation costs, as well as, prevent OSHA citations and fines. A solid background in environmental health and safety can make you a valuable employee in the manufacturing and service industries. Your ability to understand the connection between engineering and safety will help you establish a successful career in both industrial and service settings. Your training includes a wide variety of compliance and inspection topics, along with regulatory interpretation and application, workplace ethics and employee safety. You’ll also gain an understanding of engineering and project management fundamentals. With this broad foundation, you’ll be well equipped to meet the environmental and safety needs of today’s employers. The wind energy industry is the fastest growing segment of renewable energy production. The U.S. and Canadian wind industry is experiencing annual growth of 25%. Employers seek skilled technicians for operation and maintenance activities in wind farms. There is also a demand for advanced technicians with U.S. and international wind turbine manufacturers; these include: installation technicians, quality control technicians, and warranty and commissioning technicians. Operation and maintenance positions generally remain with a given wind farm location; other technicians travel extensively with the construction of new wind farms and repair/retrofitting of wind turbines around the world. Electro-Mechanical Technology grad Jacob Winkel is front and center when it comes to ensuring quality standards in industry. Electro-Mechanical Technology student Lindsey Wilharms is combining on-the-job experience with an FVTC education to get ahead.